Front Binding – This is the third British (Isles) Poet Master we’ve seen from the Heritage Press on the blog thus far – Ireland’s W.B. Yates and England’s Shakespeare predated the Scottish legend Burns, and there’s more to go! For this volume, the Club hired wood engraver Joan Hassall to decorate the book’s poems, and she’s a great choice, as we’ll soon see. Here we again see the repeating board motif the other two featured. I’d wager the same designer was responsible for this, but I’ll refrain from stating that until I know for sure. Spine – The similar spine design for these books continues on. 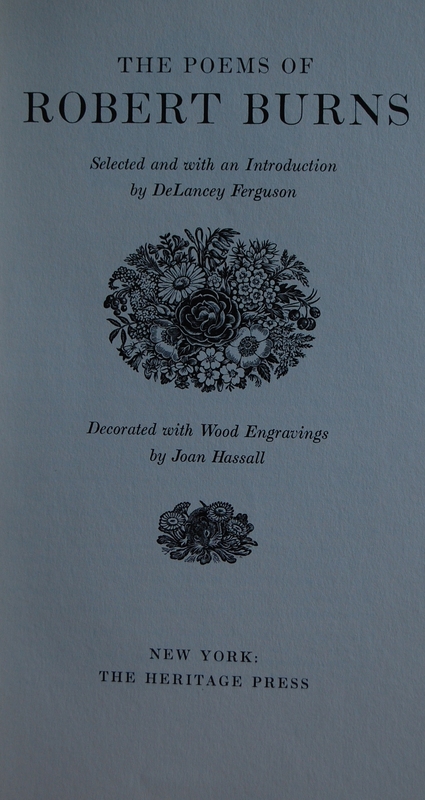 Title Page – DeLancey Ferguson was this book’s editor, who also wrote an introduction. Hassall only did this one book for the Company – a shame, as she did a most astounding job, if I may say so. 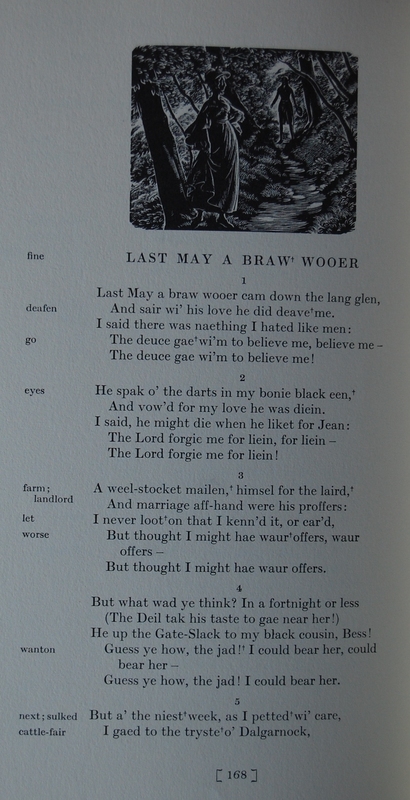 Page 1 (close-up of the engraving) – As you may gather from “The Twa Dogs”, Burns utilized Scottish pronunciation in his poetical works, making them a little tough to read if you don’t have that accent flowing in your mind. Page 168 – A taste of the page layout. 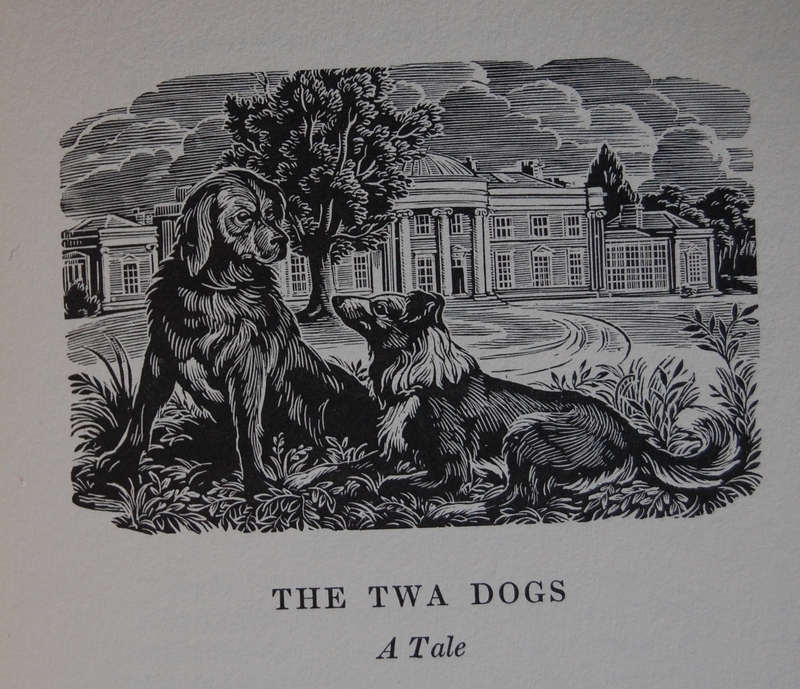 Hassall did not provide any full-page illustrations – all are nicely mixed in with the lines of poetry. Personal Notes – I like this series, yet have rarely seen any in great condition. I’ll be on the lookout for them, though. 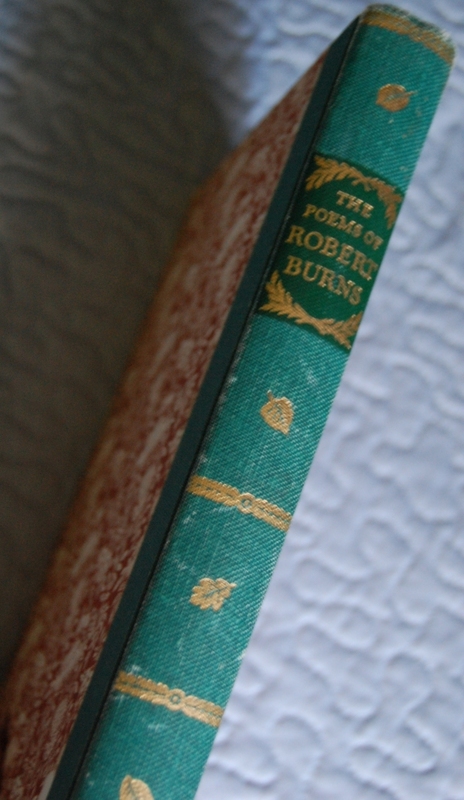 As for Burns, he’s an interesting poet, but I think if I do read him it’ll be done aloud, else my brain will likely not want to work at piecing out what he wrote. 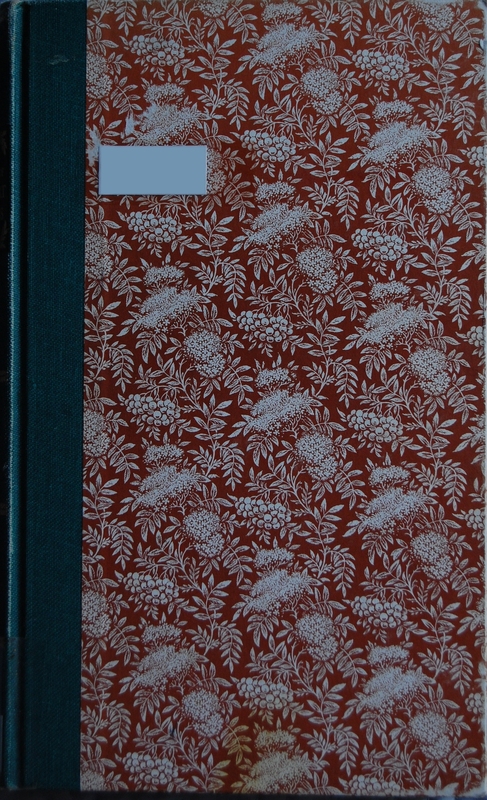 You are currently reading Heritage Press: The Poems of Robert Burns (1965) at The George Macy Imagery.